California Dermatology & Clinical Research Institute-How Do You Treat Warts? Whether you have a single wart or several, chances are you’re looking for a warts treatment that will work as soon as possible. Not only are warts unappealing to look at, but also the longer you have them, the higher the risk of spreading your warts to another part of your body or to another person. Not everyone who comes into contact with the human papilloma virus that causes them will develop warts, but the possibility remains, so it’s understandable that you’d want to treat your warts as soon as you notice them. Before you begin treating warts on your own, however, it’s important to see a medical professional to determine what kind of treatment is best for the type of warts you have as well as their location. Many doctors like to take a wait-and-see approach because most warts will disappear on their own. But for those eager to eliminate warts, a dermatologist may recommend any of the following treatments, some of which can be done at home and some of which require a medical professional. Duct tape is effective in the removal of some warts. When used to cover the wart for several days at a time, it deprives the wart of sun and air. After 6 or 7 days, the tape should be removed and the wart washed and scrubbed to remove all dead tissue. After the area dries overnight, the tape treatment should begin again. It may take several weeks to completely eliminate a wart using the duct tape method. Salicylic acid is an over-the-counter topical treatment method for warts. The solution comes in a variety of forms, including ointments, gels, creams, and patches. The salicylic acid softens and dissolves the abnormal cells, one layer at a time, and the dead skin cells must be filed off between treatments. This method of wart removal usually takes several weeks. Cryotherapy is a common method of wart removal. It kills the cells in the wart tissue by freezing them. This method can be done at home with over-the-counter products, which usually contain dimethyl ether combined with propane. A medical professional can provide a stronger freezing treatment in the form of liquid nitrogen to remove warts. More than one treatment session may be required, and it may take a week or longer for the area to heal after a treatment session. This treatment for warts involves the injection of a Candida antigen (yeast extract) into the wart. The solution stimulates the immune system in the area of the injection, causing the body to attack both the yeast extract and the wart. A second or third injection is often required. Curettage involves the surgical removal of wart tissue using a curette (a spoon-like instrument with a sharp edge). The curette allows the doctor to remove the wart and scrape out its roots. This method sometimes requires more than one round. Electrosurgery uses a high-frequency electrical current to cauterize the tissue and burn off the wart. It is often used in combination with curettage. Laser surgery destroys the virus and eliminates the blood supply to the wart by targeting it with an intense beam of light. The resulting inflammation also stimulates the immune system so that the body assists in the removal of the wart. This method is used mainly on warts on the feet and may take up to 4 treatments. Interested in dermatology treatment to remove your warts in San Diego? At California Dermatology and Clinical Research Center in San Diego, we offer no-cost dermatology treatment for a variety of skin ailments and issues, including warts, through clinical trials. By enrolling in one of our clinical research trials, you get access to cutting edge therapy in dermatology before it’s available to the general public. 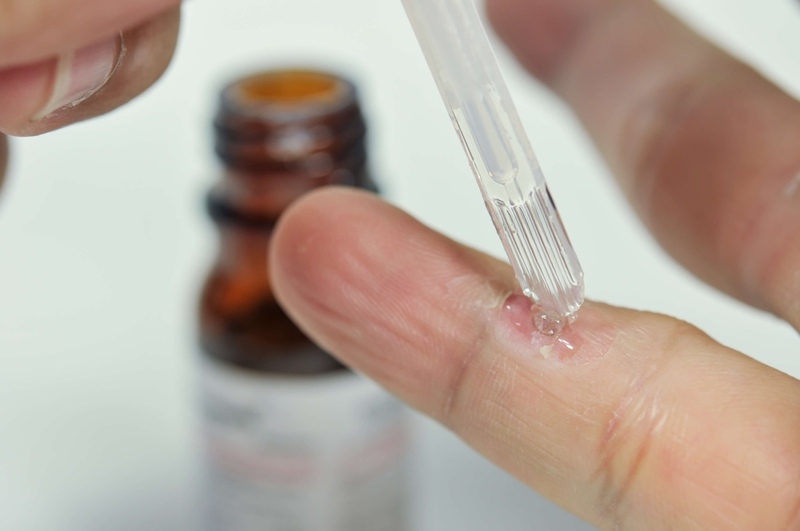 For more information on qualifying for a clinical research trial for warts treatment, call us at 760-203-3839 or fill out the contact form on our website today. Newer PostWhat Causes an Acne Breakout?